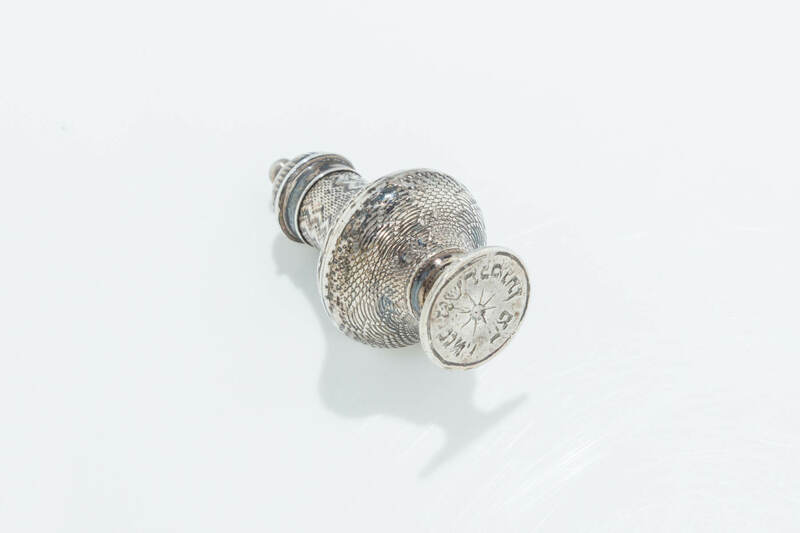 A SILVER WAX SEAL. Continental, c. 1880. Pear form. Formerly belonging to “Henli, wife of Nathan”. 1.7”.